Widely credited with undertaking the first systematic offender profile within a criminal investigation, Dr James A. Brussel pioneered the use of criminal profiling and formally documented his work in 1968 in his landmark book 'casebook of a criminal psychiatrist'. It was read with great interest by Howard Teten a FBI agent who was teaching a course in criminology at the time. The following extracts are taken from an interview Teten gave and it provides a fascinating insight into the FBI’s criminal profiling history and approach. 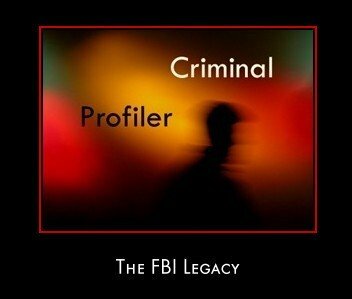 I developed the FBI's original approach to profiling as a lecture course in 1970. The title of the course was Applied Criminology although several instructors later started calling it Psych-crim. This course was based on a concept which I had originally developed while working as a police crime scene specialist. The idea was conceived in about 1961-62. However, it was necessary to test the approach using solved cases for about 7 years and to check with several Psychiatrists to ensure I was on firm ground in terms of the characteristics of the different mental problem areas before I felt it was ready for presentation…I expanded the course by asking that unsolved cases be brought in for use as examples. During the class, a profile of the offender was developed for one of the cases being utilized and the perpetrator was identified…our new expanded FBI Academy opened in 1972…new units were also formed to provide the needed oversight and organization necessary to ensure all students received the same material and instruction. One of the units formed was the Behavioral Science Unit. In 1973, after reading Dr. James Brussel's. 'Case Book of a Crime Psychiatrist,' I visited Dr. Brussel at his home in New York. While he was for all intents and purposes, retired at that time, he was most gracious and was quite willing to discuss his approach to profiling. Over the next year or so I visited him on several occasions examining the similarities and differences in our approaches. His approach was to seek specific areas of psychiatric potential and then to combine them to form a profile. This was somewhat different from my approach which was to derive an overall impression of the gross mental status based on the crime scene as a whole. We reasoned that his method was more capable of providing detailed information while my approach was less subject to error. Robert Ressler began conducting interviews with convicted serial killers in 1976. After a number of interviews, he was joined in this project by John Douglas who had joined the BSU in early 1976. This project was able to provide a significant amount of information in terms of why and how certain characteristics were found at the crime scenes. The data from these interviews were particularly valuable in that the information allowed even those profilers who had not conducted a large number of crime scene analyses to be effective in evaluating the psychological impressions at a crime scene. I’ve highlighted Teten’s last comment because it reveals the essential purpose of criminal profiling, namely generating a behavioral composite of an unknown offender so that it tells you something about the personality of the individual. How you develop this composite can differ but the end result is the same i.e. establishing an informed sense of the type of person who has committed the crime. And this should be obvious from the following profiling definitions. An educated attempt to provide specific information about a certain type of suspect. A biographical sketch of behavioral patterns, trends and tendencies. This role (offender profiling) was obviously not to provide the name, address and phone number of the guilty person but was to provide the police with a psychological profile of the personality of the perpetrator that could then be used to direct the investigative search. Profilers have been able to develop typologies, understand the link between crime scenes and the characteristics of offenders, and develop information that is useful in violent crime investigations. 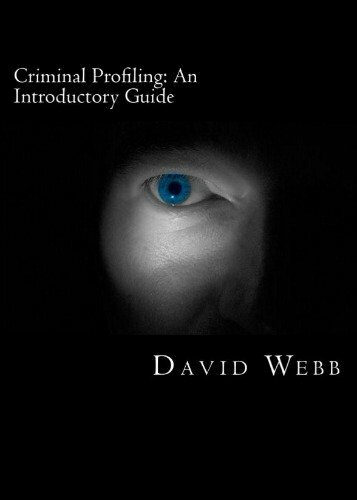 Having determined the fact that criminal profiling is employed to establish the behavioral make-up of an unknown offender, you can find out why its proponents claim that this is possible; and how they go about doing it, by reading part 3 of this criminal profiling series.